The holidays always offer an opportunity to reflect on the past year, to recall the moments and people that made this or that year such a success. First and foremost, all of us here at DocMagic wish to thank you for the loyalty and trust you, our clients,extended to us over this exciting year. 2016 has been an amazing year for this company and the industry as a whole. Allow me to highlight some of the year’s milestones. 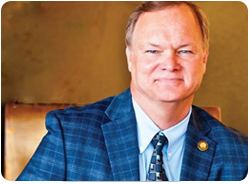 TORRANCE, Calif., March 20, 2015—DocMagic, Inc., the premier provider of fully-compliant loan document preparation, compliance, eSign and eDelivery solutions, announced today that its director of eServices, Tim Anderson, will be moderating a key panel session at the annual Mortgage Bankers Technology Conference on the topic of what automated Electronic Processes look like. The panel will be held on March 30, 2015 from 3:00 p.m. – 4:15 p.m. This panel is comprised of leading industry experts who will provide their perspective and expert advice on eDisclosures and eClosings, among other eServices topics. The session is designed to help industry participants gain a better understanding of these trends and impacts. There are many questions around “e-everything,” says the MBA. Attendees of the session will leave with a solid grasp on how to electronically and compliantly connect with consumers and trading partners. Come see the Magic at Booth #120! We will be attending MBA's National Technology in Mortgage Banking Conference in Hollywood, Florida. Please come see us at booth #120, interact with our team, ask about our end-to-end compliance solutions, and find out how DocMagic can handle all of your mortgage document needs. 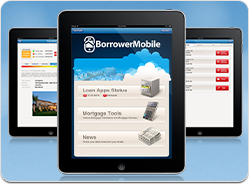 DocMagic’s innovative app for tablet or smart phone provides instant communication between lenders and borrowers.